The Boeing B-17 Flying Fortress was one of the most important bombers in history. 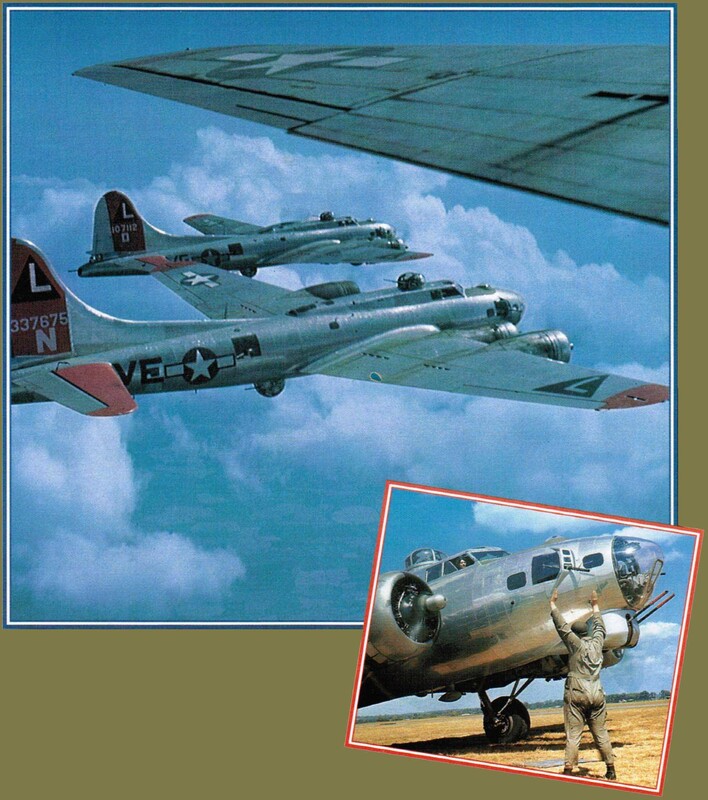 B-17s fought in every theater of World War II but won immortality in their epic daylight battles against the Luftwaffe. Thousands of young German and American fliers lost their lives, transforming the impotent United States Army Air Force of early 1943 into a force of devastating, destructive power in just 12 months. The Flying Fortress was America's main strategic weapon in Europe during World War II. From the summer of 1943, huge numbers of Boeing's great silver bird were to be found on English airfields. In the mid-1930s, Boeing engineers suggested a big bomber to the U.S. Army Air Corps. The best American bomber at the time was an inadequate twin-engine adaptation of the DC-3 transport. The decision to go ahead with the 15-17 Flying Fortress was a courageous leap forward: it gave the United States an embryonic strategic bomber force by the time the Japanese attacked Pearl Harbor. Early B-17s did not have enough guns and were not available in sufficient numbers, but as the" war progressed the Flying Fortresses took command of the skies. 15-17 crews faced many unspeakable horrors, pressing ahead into Luftwaffe fighters and flak while blinded by smoke, slammed by turbulence, plagued with mechanical mishaps, and paralyzed by the numbing cold. On the first Berlin mission, B-17 crewmen killed in the air numbered the same as Germans killed on the ground by bombs (about 400). As the bombing campaign wore on casualties aboard the B-17s remained high, but the bombing became more effective. Right: B-17s were used to make precision daylight attacks on German industrial centers. 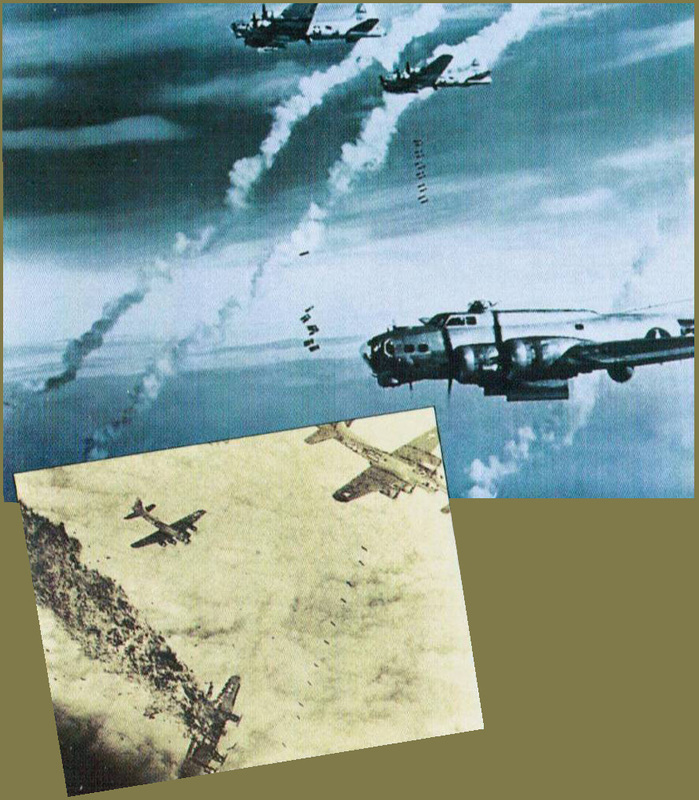 Left: Hit by flak, a burning B-17 falls away from the protection of its fellows. 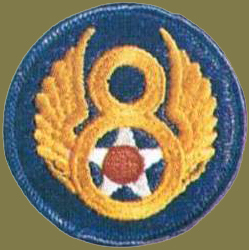 The "Mighty Eighth" Air Force was the premier user of the B-17 Flying Fortress. "Fast Woman" was one of the first American B-17s to arrive in Britain during World War II. Attached to the 359th Bomb Squadron of the 303rd Bomb Group, it was based at Molesworth in Huntingdonshire. Powerplant: Four 1,200-hp. Wright R-1820-97 Cyclone turbocharged radial piston engines. Maximum speed: 290 m.p.h. at 25,000 ft. Range: 2,000 mi. with 5,000-lb. bomb load. Weights: Empty 37,300 lb. ; loaded 65,500 lb. 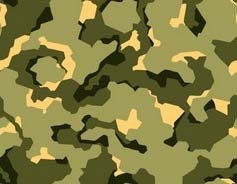 Weapons: 13 .50 cal. machine guns in twin turrets, plus single dorsal and fore and aft beam positions; 17,600-lb. max bomb load. Span 103 ft. 9 in. Length 79 ft. 9 in. Height 19 ft. 1 in. Wing area 1,420 sq. ft.